Are you purchasing a new house? Or are you thinking of renovating your old house? Regardless of what you plan to do, nowadays, homes must be smart. 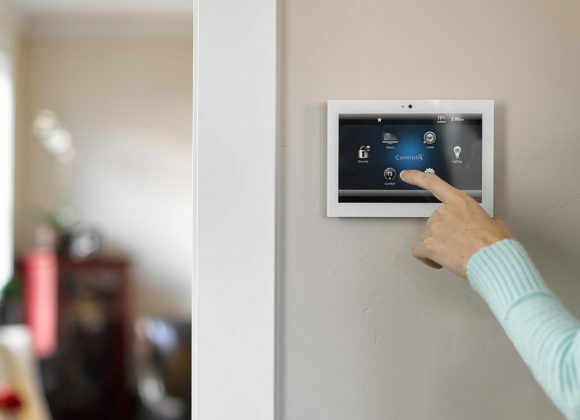 In this age of cutting-edge technology, where every other day, a new tool is being invented making the lives of people easier and convenient, it is essential that you also make your homes smarter and more efficient. One of the ways you can do this is by installing a home automation system which allows you to get complete climate, shades, and lighting controls. You can access the electric controls in your house from any part of the world as it is connected on your smartphone whereby you can prevent the energy output from your house if you forget to switch off the light while going out of the house or want to adjust the temperatures in the room before entering your house. We, at JMG Audio Video Inc., can be the right choice for you. We are a reputed company which can enable a seamless integration of the different home technology facets along with providing a customized user interface ensuring flexibility and ease of use. So, if you are from areas such as Alpine NJ, Franklin Lakes, Ridgewood NH, Saddle River, or Tenafly, then you must resort to us without hesitation. Here, we have put together a few things to check before investing in the automated lighting controls for your house. Take a look. What kinds of latest features are you offering? Before investing in this sort of lighting controls, you have to make sure that the product you are getting has the latest advanced features enabling you to enjoy comfort and ease. How much do these controls cost? You need to set a budget aside when you are making these home improvement plans. In order to decide on the budget, you must know the price of the product. So, ask about the price and make sure if it is feasible to your pockets or not. After asking such questions, if you think you are interested in our products, get in touch with us now.